Labrador is proud to present The Sound of Arrows - the band that will lead Swedish pop into the next decade. With the deepest love possible they gather sounds and samples from all over and turn them into lush pop songs with exquisitely beautiful melodies. The Sound of Arrows treat their own songs like remixes and will present their releases almost like mixtapes. Their approach to music bare some similarity to Saint Etienne around “Foxbase Alpha” or The Avalanches, but they never end up sounding like either. 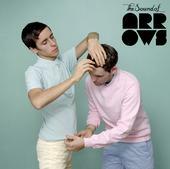 The future of music can not be compared to anything - this is The Sound of Arrows! "Danger!" is taken from the upcoming 9-track (!) EP due to be released on May 7. The Sound of Arrows - "Danger!" He encontrado un enlace desde las páginas de "Ya no puedo +" y desde "a lo walko", buscando en Google referencias de "La conjura de las danzas"
Aprovecho para saludarte porque e informarte que tengo un programa de radio que se llama Z y que puedes escuchar y consultar listas de los programas en http://programazeta.blogspot.com , tengo una orientación + rock y funky que las referencias que aparecen en tu blog, pero a lo mejor algo te interesa, como mínimo el especial de la conjura. Aun link a tu blog en el mio.